I am an independant surveyor and am not retained or tied to any yacht brokers or agents. 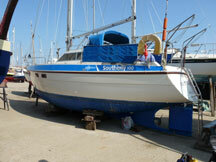 A pre purchase condition survey is an essential item to consider when buying any vessel. A thorough inspection covers over three hundred points and can prevent unforeseen problems occurring later and protect your investment from turning into a financial disaster. Most insurance companies require surveys on craft over ten years old and there after every five years. The insurance survey takes the form of a full condition survey and only omits none safety related items. After an accident it is often necessary for a survey to ascertain the extent of any damage caused and what if any repairs are necessary, and possibly help identify the cause of such damage. 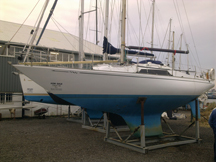 With an engineering background and a practical approach to boat ownership I have gathered many years experience in building, repairing and maintaining boats, ranging from small sailing boats to large yachts and canal narrow boats in wood, GRP and steel. I trained as a yacht surveyor at the International Boat Building College in Lowestoft Suffolk, qualifying in FRP steel and wooden boats. 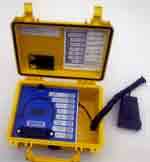 For FRP boats I use the latest capacitance type Sovereign Quantum moisture meter especially developed for marine use. I have experience in all methods of wooden boat construction, traditional and modern. I am an affiliate member of the Yacht Designers and Surveyors Association (2010), and a member of BMSE (British Marine Surveyors Europe) and I work to the guidelines, terms and conditions set out by the Yacht Designers and Surveyors Association. I have professional indemnity and liability insurance, as required by the Yacht Designers and Surveyors Association.